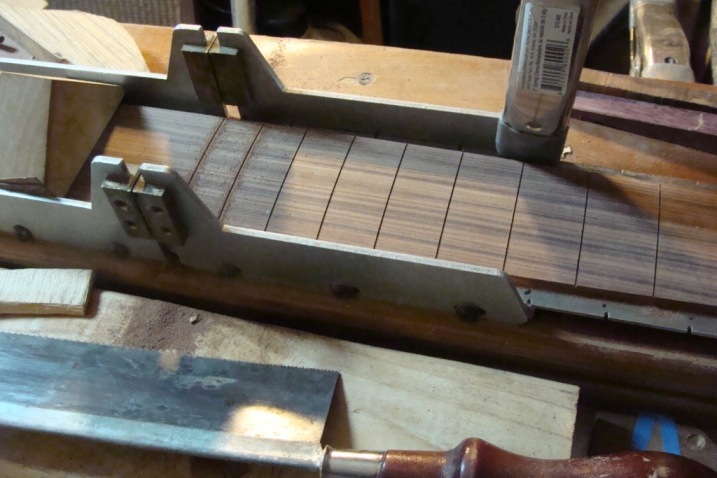 The body is limba, and is the 'waste' portion of trimming a slab for another guitar body. That's why it's reversed (long horn on bottom). I tried to make a straight cut through the slab with a looong sawzall blade.I made a guide frame with metal runners on each side...and but for one episode of the blade veering out, it worked. (sanded out to a nice contour). sound....and if I ever get a belly...it should hang nicely. The neck is an old dimarzio that I roasted in the oven for a while.The guitar is maybe 4 lbs as is. I'm thinking one alumitone or lipstick pickup at the neck and one volume knob...to keep things light. The above pics look interesting . I await and look forward to the creation of a new kind of critter . 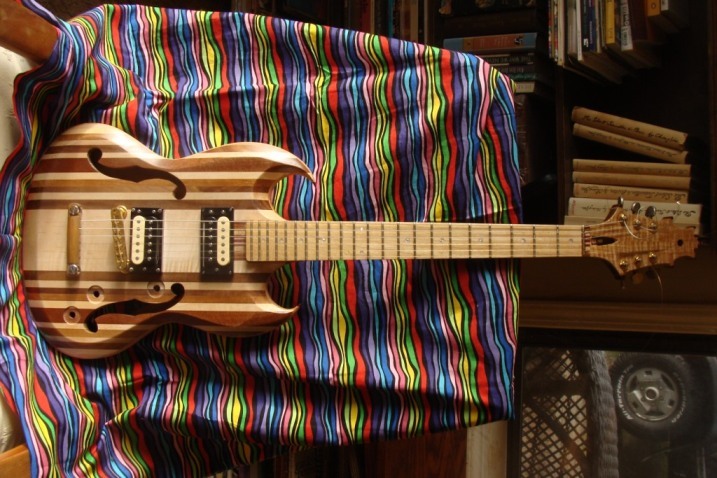 A semi-hollow SG - I don't thin I've ever seen such a thing. It looks great! I would be concerned about it being neck-heavy, though. Is it? I guess I won't really know until the guts are in and the strap buttons on. The body has some substance, being walnut and maple, I hope that will help.I could always stash a brass slide in there ;). Yeah, or some lead shot. Anyway, nice job! Nice work Elwood! 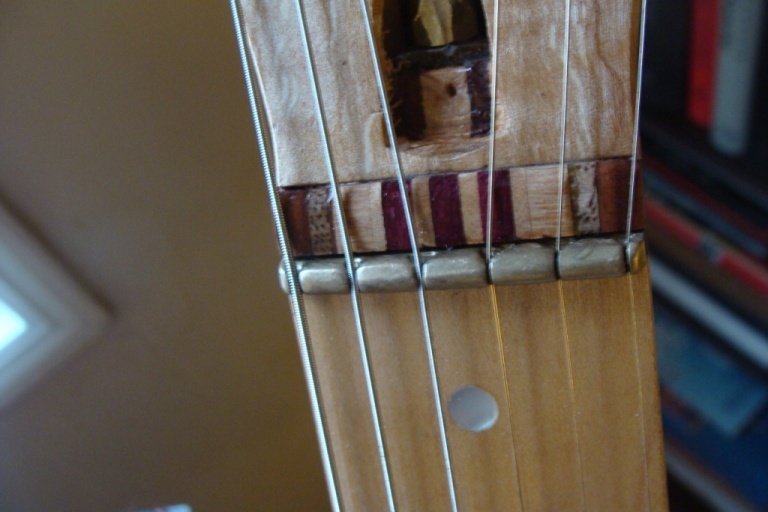 Is this a set-neck or neck-through? Was just thinking I could really use your expertise on a project I just thunk up the other day. FYI - I had a short nightmare about using a sawz-all for a rip-cut the other night after reading your first post... Man, don't scare me like that! Thanks Edward. It's a mega set neck; along with the wood to wood joints, I embedded a 4" x 1/2" steel dowel between the neck and body . 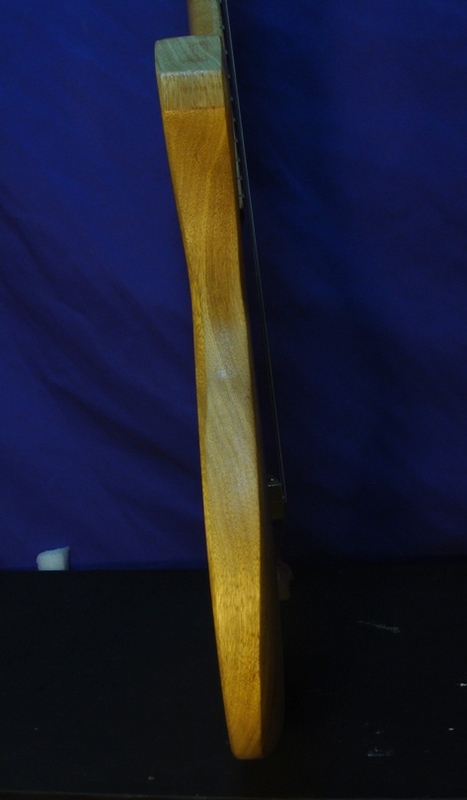 The neck is an early 80's gibson V2 neck,I added maple/walnut veneers then the fingerboard.And headstock veneers and nubs. It is much more interesting than the simple gibson cone shape I started with. 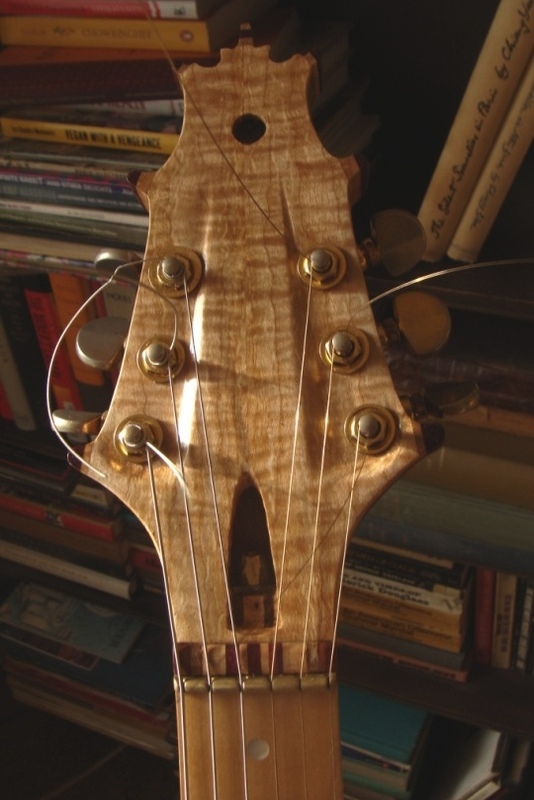 I did have to improvise when I realized the headstock was now too thick to fit the tuners.I'm happy with the results and it's good practice for the same situation on the 7 string I have in the works. 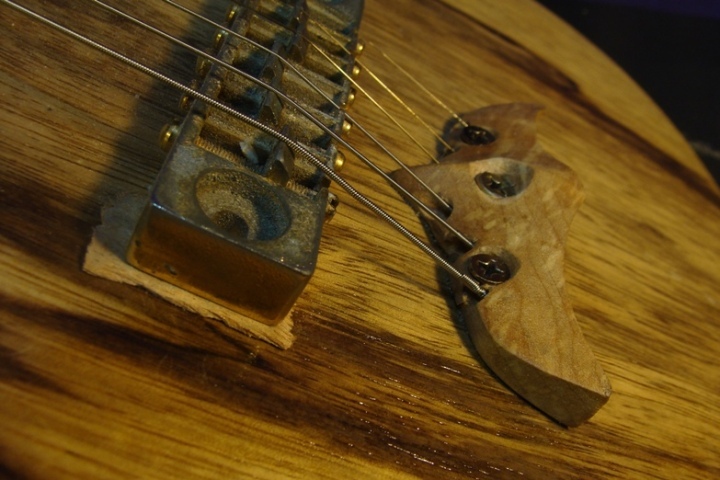 I'll make a new nut that will just barely keep the string splay from spilling over. I think I got the neck angle right,but I guess the extra veneers and maybe the fret height brought the string plane up a tad. 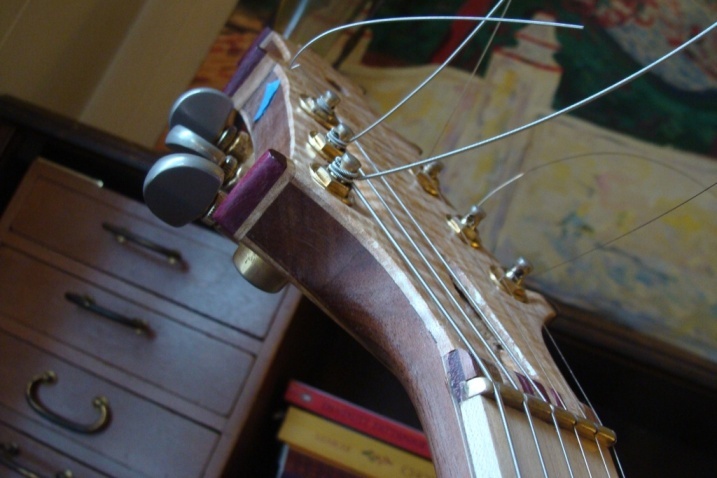 (with loctite to prevent resonance)if I find that keeps energy in the strings. The neck joint I see as hippy 'club' sandwich...walnut,maple,purpleheart,mango...bring thoughts of rye,sourdough,tomato,etc. 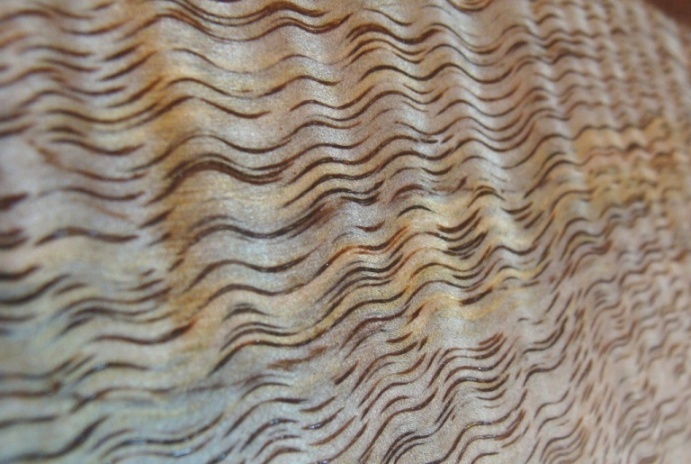 You might think the maple at the rear of the heel has stress cracks,the lines are spalting that just ended up that way. I also need to reconfigure the lower horn(..that's what she said! ), it's a little stabby. 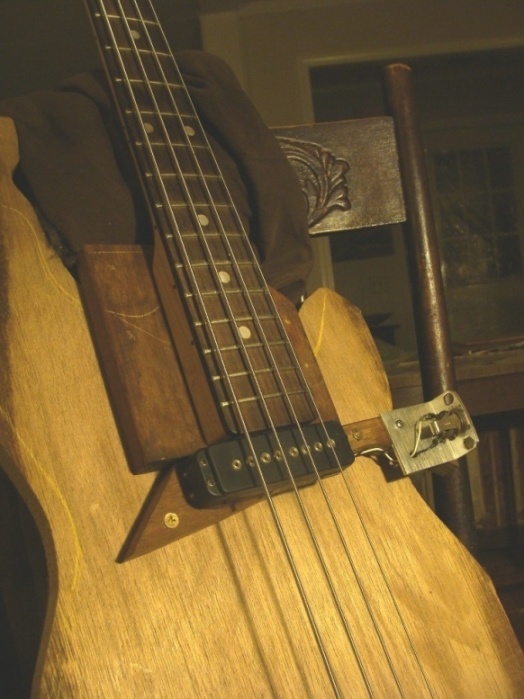 Just a crazy idea right now... it's a fretless Tobias 5-string currently routed for J-type pickups. Would love to find a set of Alembic activators, wired Vol/Pan/Filter for it, but if that doesn't come along in a timely fashion, I may end up installing a set of Bartolini electronics. They were taken out of a brand-new Lakland 55-01, and as I understand it, are wired with a three-band tone circuit with a Master Volume and Pan. PS, I like the way you've recessed the top for the knobs here. The Barts sound like a good idea, especially if you could just trade out everything for the Alembic set when it shows up.Just let me know when your ready,I can probably help. I'm in the same boat on my next build, but I might end up with EMG's for the time being. I have this double bass that is about 10 years old. I bought it for 750 so I know it's gotta be a bit of a dog, but maybe there are some things I can do to make it better (like checking to see if the post is just right). 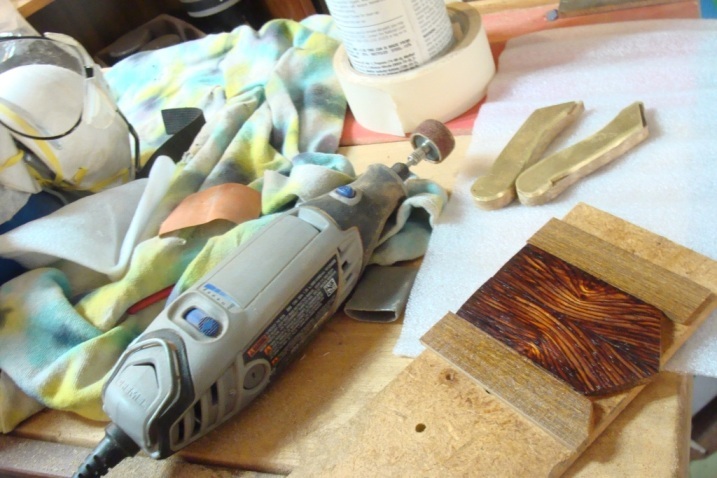 I'm even thinking of coating the finger board with something hard(it appears to be a black stained white wood). The bridge appears to be seated well but I can check and do the sandpaper thing if it's off. I'll take some pics soon. Gimme' til this evening and I'll give a more detailed post... hadn't seen this one until you call attention to it. I think the post is dead center under the treble foot, probably contributing to the lack of bass response. I'll get some pics up soon,so you can see the how things are now. How about action? Is it a trade-off for punchiness (higher action=more punch)? and was never dialed in further. Oh yeah, if the soundpost is directly underneath the bridge foot, that'll squelch the bass response. And if the bridge gets a hard enough impact, it'll punch the soundpost right through the back. Seen that twice now, both on new basses that came out of the shipping box that way. At risk of overstating the obvious, no two basses ever feel the same, even if they measure the same. So many other variables, probably the biggest being neck relief. I'm guessing your bass has very little relief with that chunky neck. 3/32 - 1/8" is pretty normal, much more than that starts making it hard to play outside first position. 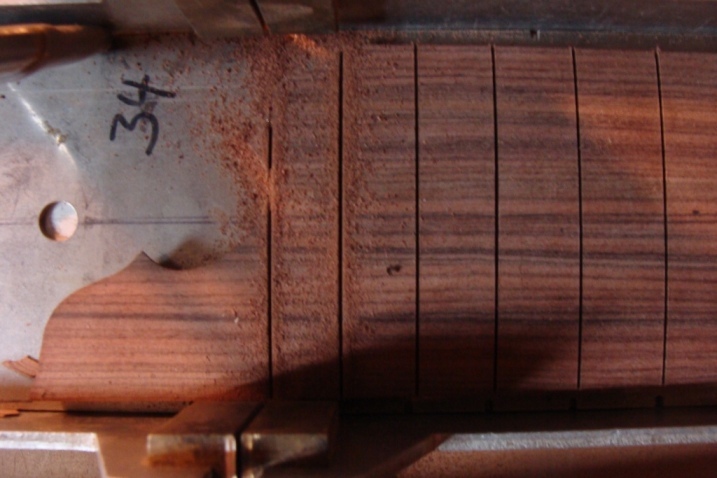 Also, take into account how much upward "sweep" is in the fingerboard extension. It's really a game of compromise. 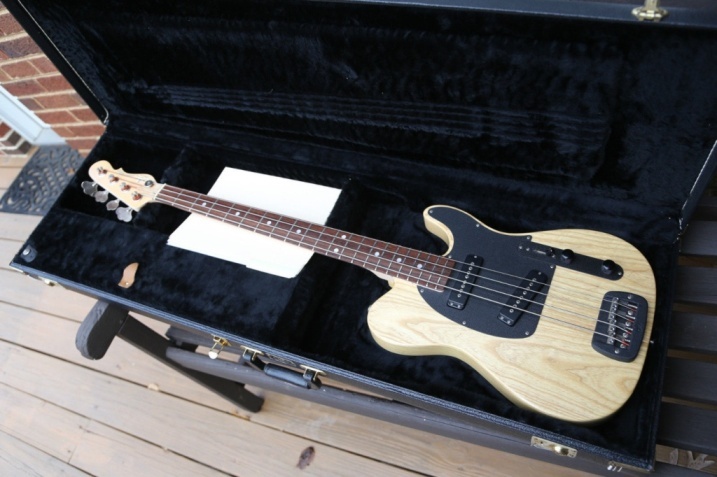 Yeah, you'll give up a little volume with lower action, but the trade off is that the bass is waaaay easier to play. I'm plugged-in 90% of the time I'm on upright anyway, so it doesn't matter much. I made some progress,then I broke a string...doh! The soundpost is now about an inch behind the bridge, I can tell the difference. 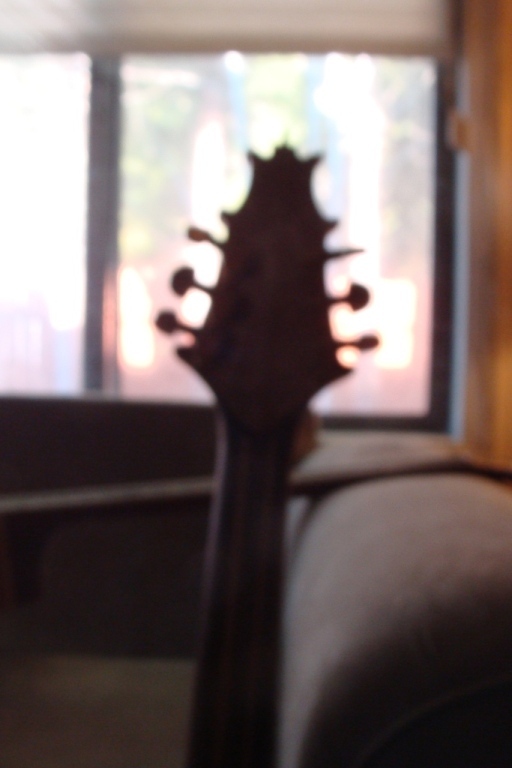 Now there is warmth to the notes, and the resonance feeds back into the strings for a little bloom. I had to move the bridge a hair to match the f-hole notches,it now needs reseating. There is some noticeable gaps under the feet. Since I lowered the action before, any sanding will bring the bridge too low. If I glue some hardwood laminates to the feet to raise the bridge will that add resistance to the energy tranfer? ...or will it make it better? I have never seen a stand-up bridge made of laminates, is it like the soundpost that it's best made from one piece of light porous tight grained wood? I'm going to see if I can get the A string back on for the experiments, I better start saving for a new set. If hippy sandwich feet won't fly, I'll have to make a new bridge. I'm open to buying one...but this is a wood thread. I have a small bandsaw, but no jigsaw (but I'm a whiz at coping!!). Wow...there's a new instrument in the house now...and it's been here all along! I saw this the other day, now I know what the fingerboard for the SHG above was slated for. butcher block/barber stripe theme where if it doesn't match...it fits. 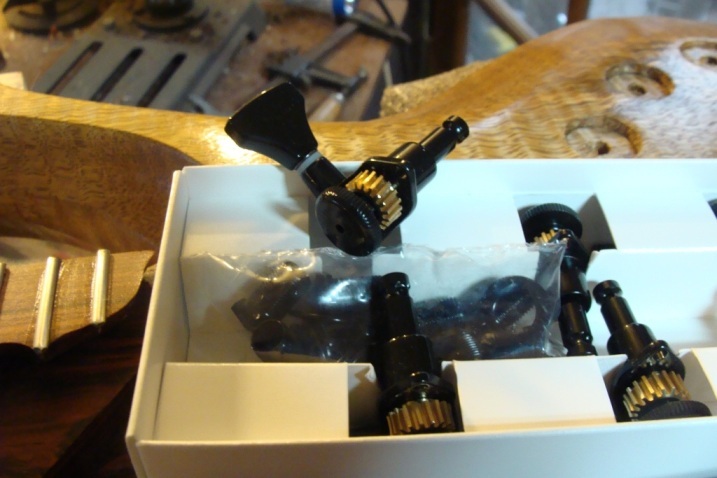 Elwood, you can get by with shimming bridge feet if done correctly, in fact, I have some shims I'll be glad to send you. They are actually the pieces leftover whenever a new bridge is cut... I save them just for this reason. (this way, the grain is already oriented the right direction, and they are roughly the right size) Just hit my email addy here if you need some. I use industrial CA glue for sticking the shims on the feet. After which, a couple passes over the belt sander, and some careful trimming with a Dremel tool will flush everything up. FWIW - I have made new bridges, but it's waaaay more trouble than it's worth. If you decide to go that route, you can buy a new bridge blank for $35, give or take. I've got the stand up in the wood room...after looking at a bunch of neck profiles I'm realizing how huge these import necks are. I'll take some pics of the reshaping for kicks. 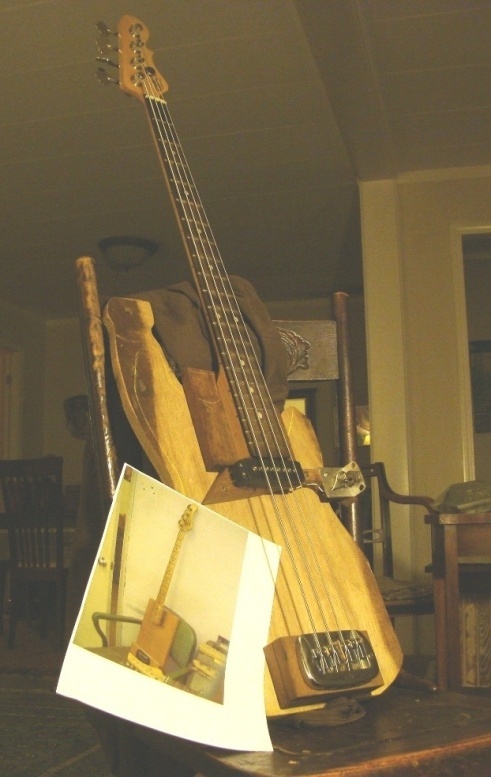 So I made a testbed bass in the spirit of Leo's testbeds (like the one in the printout). 3 bolt SB-2 neck. It's tight but woody with alot of warmth,but not too much woof. 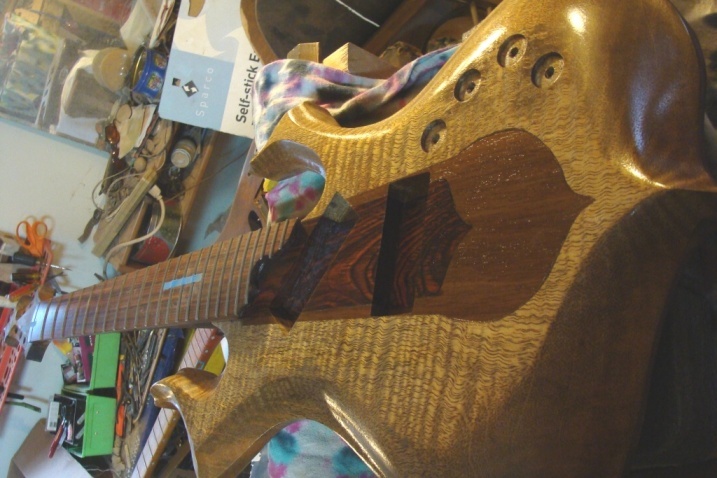 I need to decide on pickups so I can proceed with the routing. 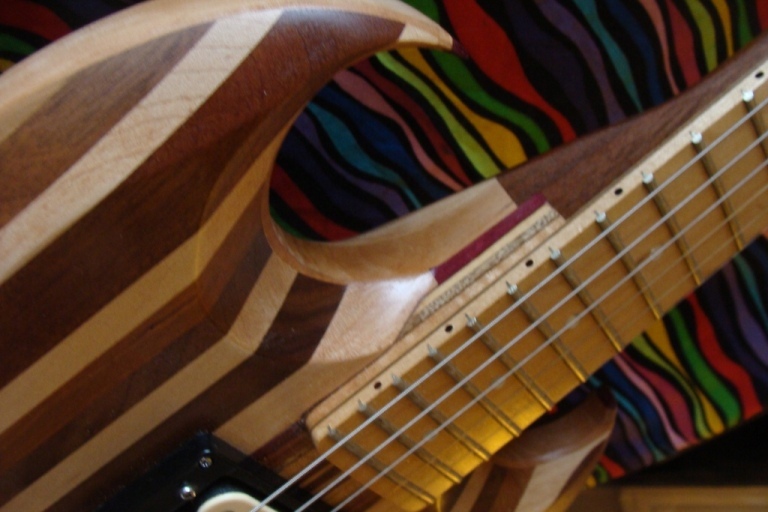 The neck pup will be angled so I'll use an 8 string pup with a 7 string at the bridge. I'll try and get some progress pics up soon. Great! Has an appealing Flintstones vibe. That's a compliment, by the way! I think I'm understanding the term CCB better. I recarved the neck,it's not a 2x4 anymore but it still feels big.Good enough for now. 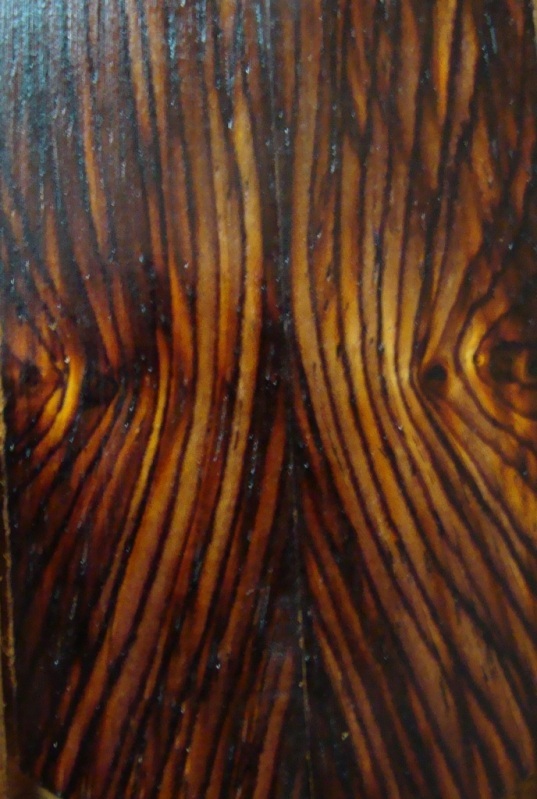 I sanded the tarry black paint off the fingerboard, it looks like oakish Ash, or maybe ashish Oak. I clearcoated it and went to work on the bridge. I used some Mangofor feet lams that seemed similar in grain density and direction. 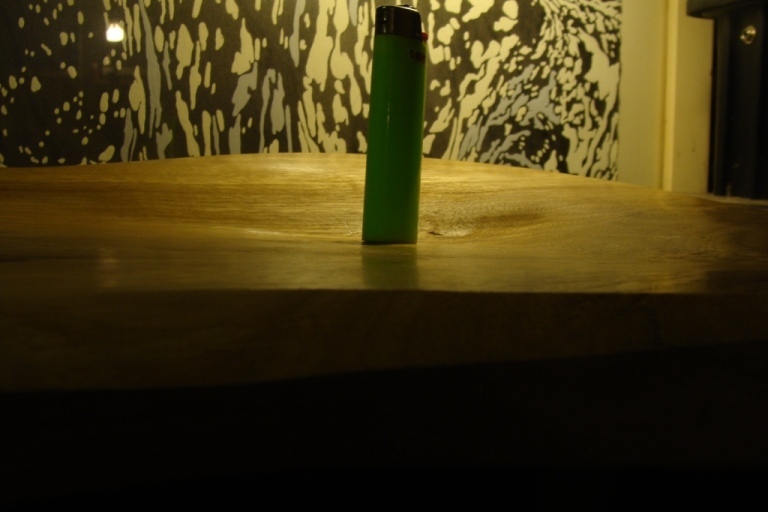 Since it's a plywood top I figured this was just another ply above the top. ...fished the post out and got all the strings almost to tension. 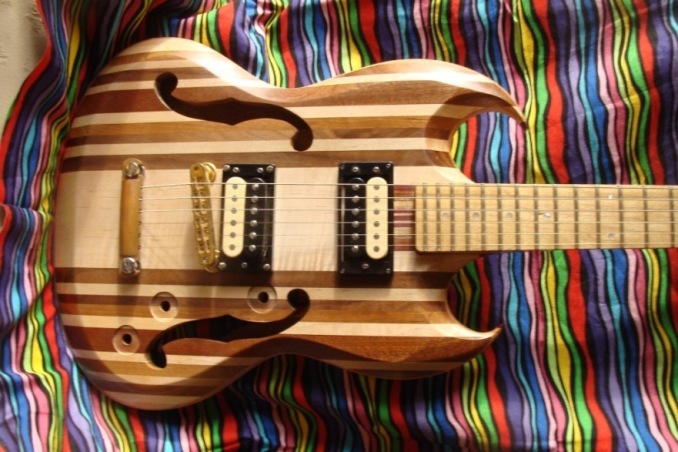 I bet if the top wasn't plywood I would get more punch and detail across the frequencies. I'm going to have to sand the tongue down on the E side alot too...it's not close to straight. So that's how I've come to understand my CCB better. Thanks again for the guidance,it's been fun wrangling that beast if just for practice. I just started on another top-off restoration of an old 1940's Kay. I may chronicle that one or not... it's nothing special, kinda' has that so-ugly-it's-cute puppy appeal. A friend of mine (get this) a completely blind since birth piano repairman, bought it for $200. Bass bar was out, hence the tell-tale collapsed top. It's got all the right components to be a great player though, and (being blind) the owner has no reason to care what it *looks* like. A while back while selling a bass on ebay,I kept getting an message asking for a person to person phone call. I thought it strange, I mean...why not type the question? I talked to the guy for 20 minutes about basses before he told me he was blind. I can't remember the band ,but he was a player in the Motown times. 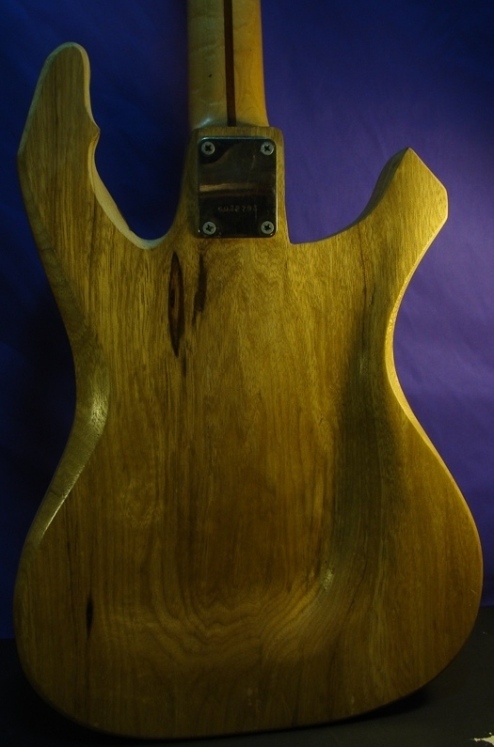 My bass(Lado Superhawk) had some finish checking etc. and he was looking for an instrument that 'felt' good. The brass bling and pretty lacewood wasn't a selling point in that case . he'd still dream about rolling down the road! My bass(Lado SuperFalcon) had some finish checking etc. and he was looking for an instrument that 'felt' good. The brass bling and pretty lacewood wasn't a selling point in that case . 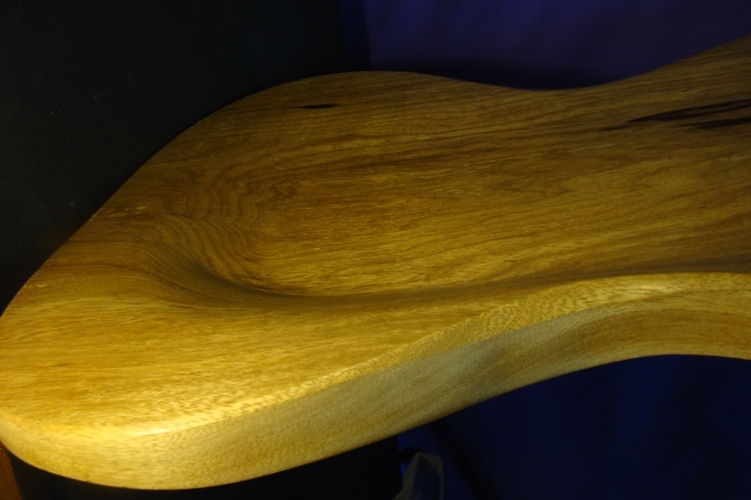 while adapting to the designs and shaping I did 20 years ago when I bought the wood. ...maybe 20 hours? I swear I AM getting better at time management...LOL.